First, just a quick update: I’m moving the release date of the SIT package a few months down the road, probably in November. Now back to the post. Recently I came across a series of interesting posts about the Permanent Portfolio at the GestaltU blog. Today I want to show you how to back-test the Permanent Portfolio using the Systematic Investor Toolbox. The simple version of the Permanent Portfolio consists of equal allocations to stocks(SPY), gold(GLD), treasuries(TLT), and cash(SHY). 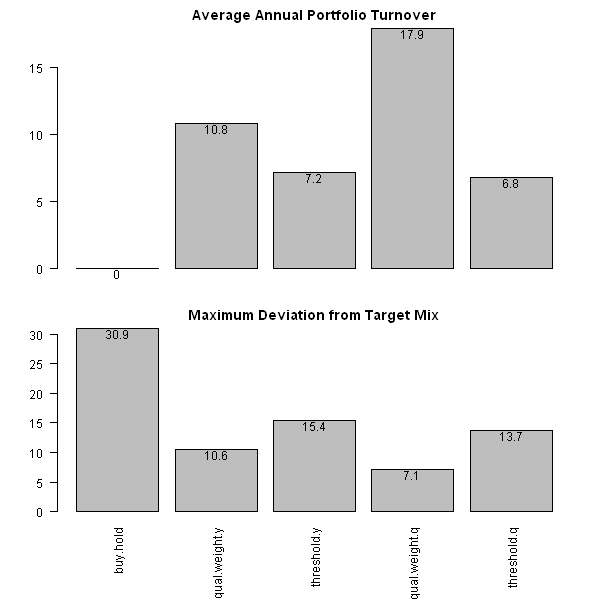 [25% allocation each] The portfolio is rebalanced once a year if any allocation breaks out from the 15% – 35% range. To rebalance base on the 10% threshold (i.e. 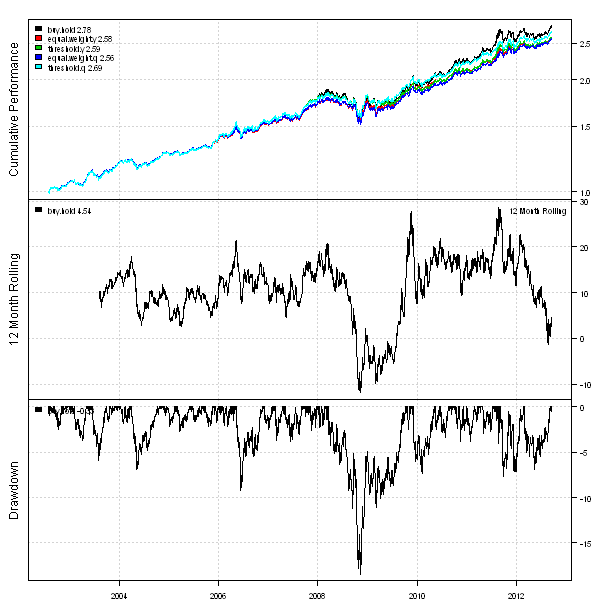 portfolio weights breaking out from the 15% – 35% range) I will use bt.max.deviation.rebalancing() function introduced in the Backtesting Rebalancing methods post. 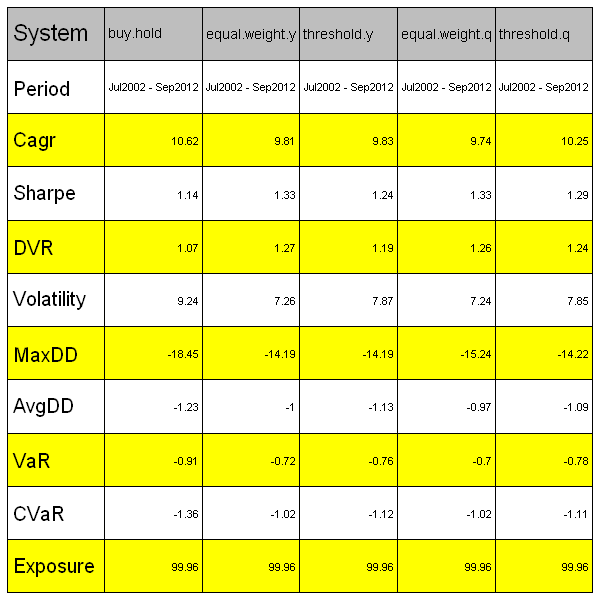 The Quarterly rebalancing with 10% threshold produces an attractive portfolio with top performance and low turnover. To view the complete source code for this example, please have a look at the bt.permanent.portfolio.test() function in bt.test.r at github.